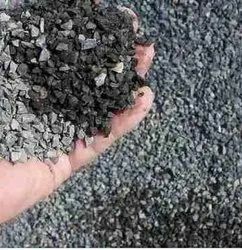 Grain size analysis, Specific gravity, Soundness, Fineness modulus, Silt content, Water absorption, Specific Gravity, Silt Content, Deleterious Materials (Clay, Silt, Coal & Lignite, Soft Materials), Alkali aggregate reactivity, Mica content, Chemical Analysis. For determining potential alkali reactivity of aggregates (chemical method) when used with high alkali cements. Stainless steel unit is 2" dia. x 2.25" high (51mm dia. x 57mm) fitted with air-tight cover. 50-75ML capacity. Tile Abrasion Testing Machine is extensively used for determining the resistance to wear for cement concrete flooring tiles. They are provided with a rotating disc, adjustable counter for automatically stopping the machine, a bracket to hold specimen and a counter balance lever to load the specimen. The abrasion of tiles is measured on a thickness gouge specifically made for this purpose. Our company has created a niche in the field of providing Aggregate Testing Service. 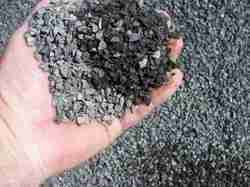 Aggregate Test Service is provided by us to patrons according to their requirements. Aggregate Impact Test, Aggregate Crushing Strength test, Los -Angeles Abrasion Test, Sieve Analysis/Grading Test of Coarse Aggregates, Specific Gravity and Water Absorption Tests of Coarse Aggregates, Flakiness and Elongation Index, Soundness Test of Coarse Aggregates, Alkali-Silica Reactivity of Coarse Aggregates are carried out for Coarse Aggregates. Used in construction industry for cement and concrete testing applications, the rendered Cement Concrete and Aggregate Testing Services is easy to operate. We are provided Aggregate Testing Services. Being a frontrunner in the industry, we are involved in providing our customers highly qualitativeAggregate Crushing Value Testing Service. These provided services are offered in agreement with the defined guidelines to preserve our standing in the industry. To add, the employees rendering these services are appointed after stern analysis of their skills and experience.